The start of a new year always means a change over of planners. 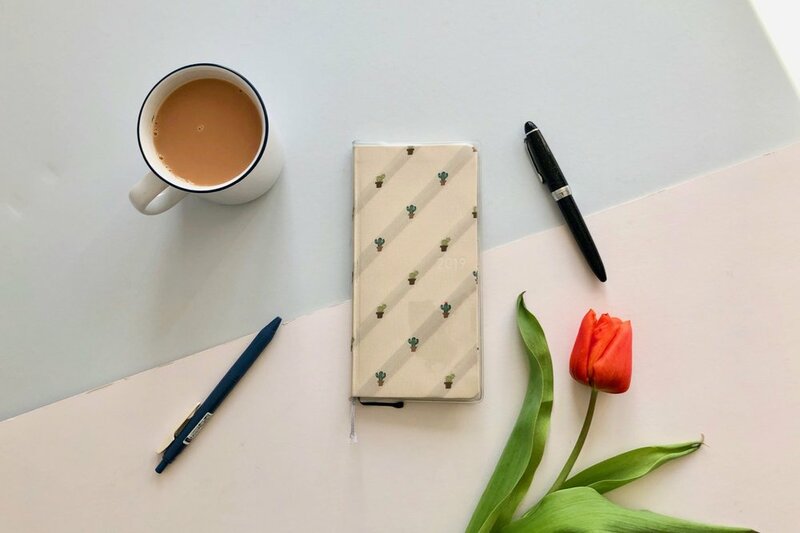 It’s a time to refresh and create new habits, a chance to review the way you have been working and planning over the past 12 months and refine. I haven’t been too good at the refining part, but I have reviewed. Here is what I plan on using during 2018. Travelers Company weekly refill - the memories planner. I have written about these notebooks in a previous post comparing the horizontal and vertical formats. This year I bought the pre-dated version and will be continuing to use this as a form of capturing small fleeting snippets of my day. I really enjoy looking back through these notebooks, I include ephemera, quotes from books I may be reading and decorate the pages most weeks. This is a staple notebook that I can’t ever see changing for me. 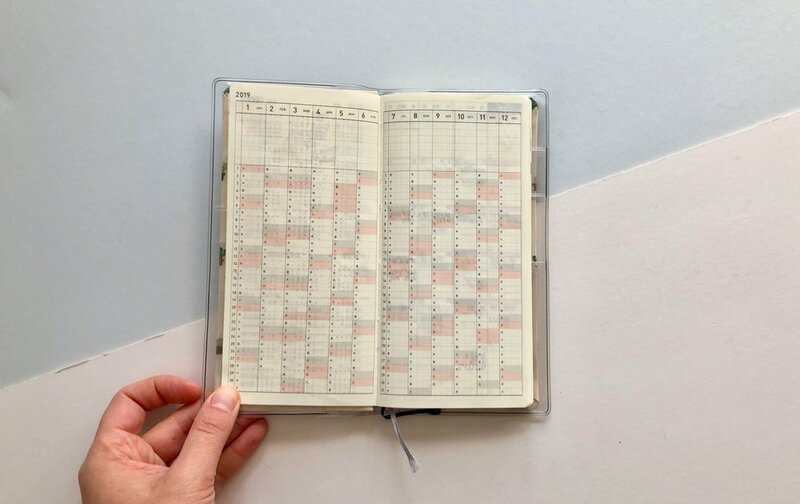 Jibun Techo - the time tracker. This was an eleventh hour addition to my 2018 plans. 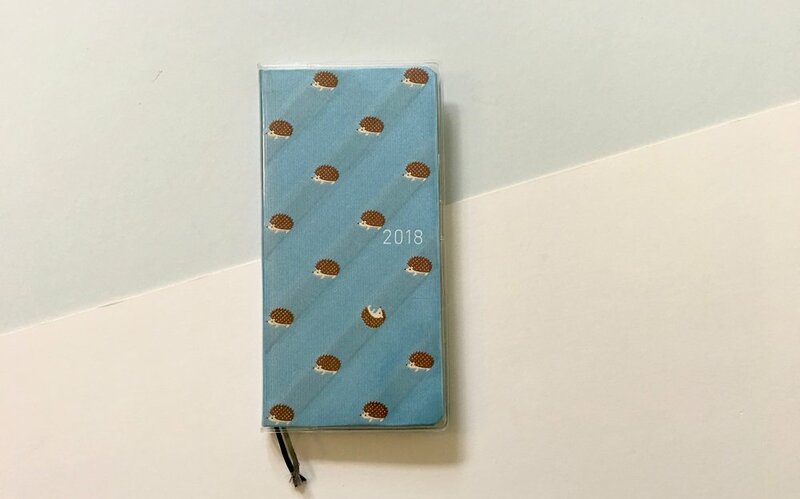 I only found out about this planner in November and immediately ordered one (I have no will power). 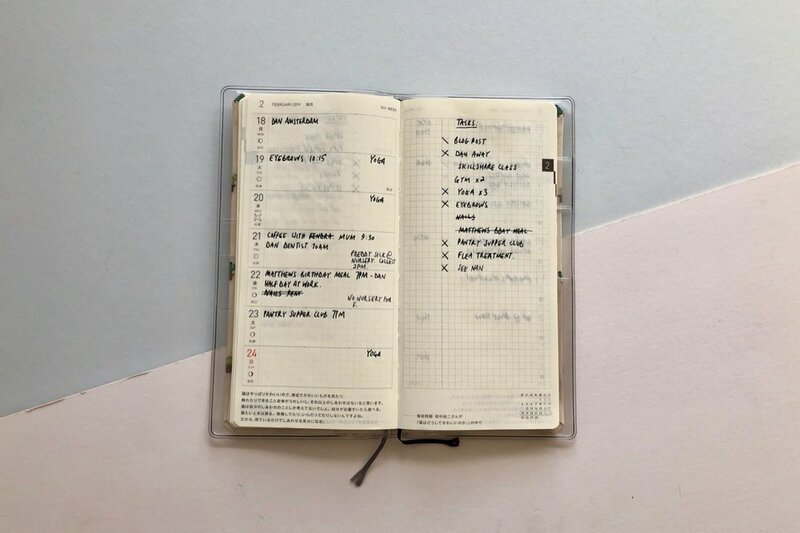 There is a lot to like about this planner system and a lot of content in a small concise notebook. Its thin, light to carry around and has the wonderful tomoe river paper making it fountain pen friendly. I am using this as instructed by the notebook, tracking and planning out my day, including the weather, my food. It almost becomes a time tracker of sorts showing me where my time is spent and the things I accomplish, people I see and tasks I have achieved. 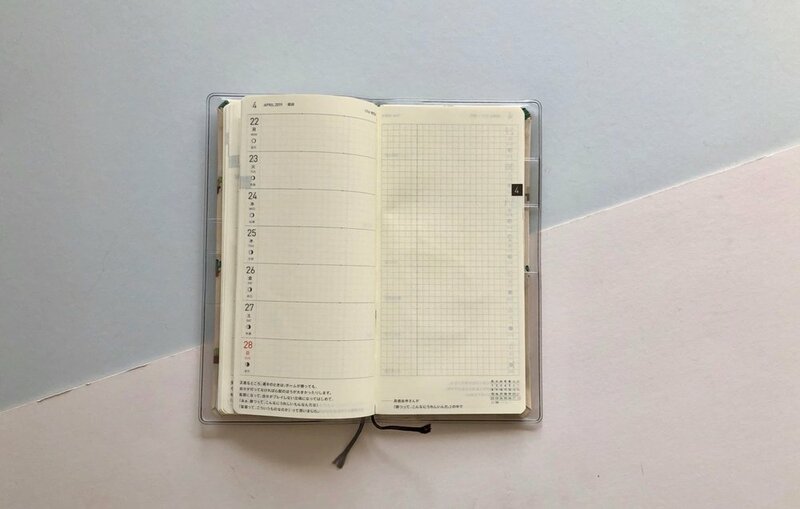 I track my month using the monthly pages in this planner. I always like to see a full picture of my month on one spread. I like that this planner includes colour and bold type which is very different to some alternative planners on the market. I think as I use this more and more I will mould this into the type of planner I want it to be. 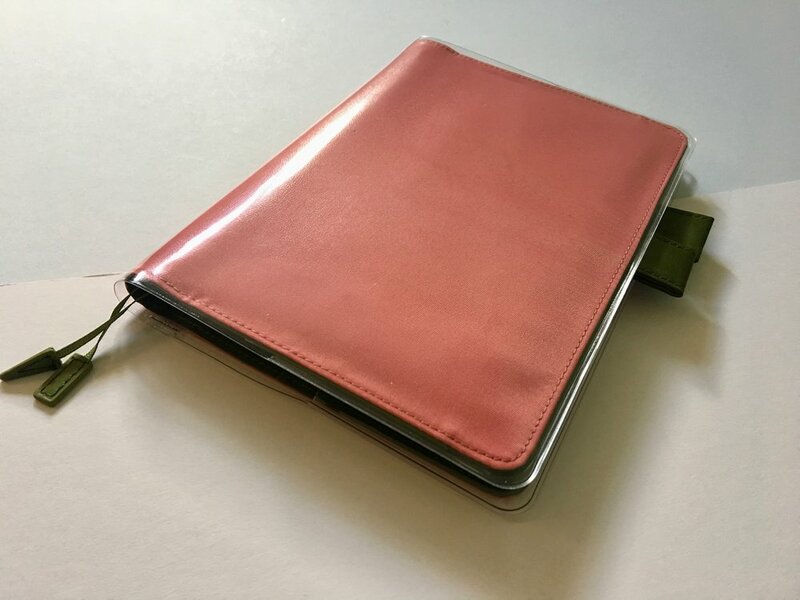 Once I feel I have found a way that works for me I will of course post a full review of the planner here on the blog. Field Notes Resolution Edition - the daily to-do list. This is my to do list on the move. I have a day per page and just throw in everything I need to do that day. There are other to do lists, such as my master house to do list which is really handy to reference when I am on the move. I like the bullet point format of this notebook and this is the first Field Notes release I have liked in some time. They’re practical notebooks that I have a defined and specific use for. I can see this edition becoming popular and perhaps a staple product for Field Notes in the future. 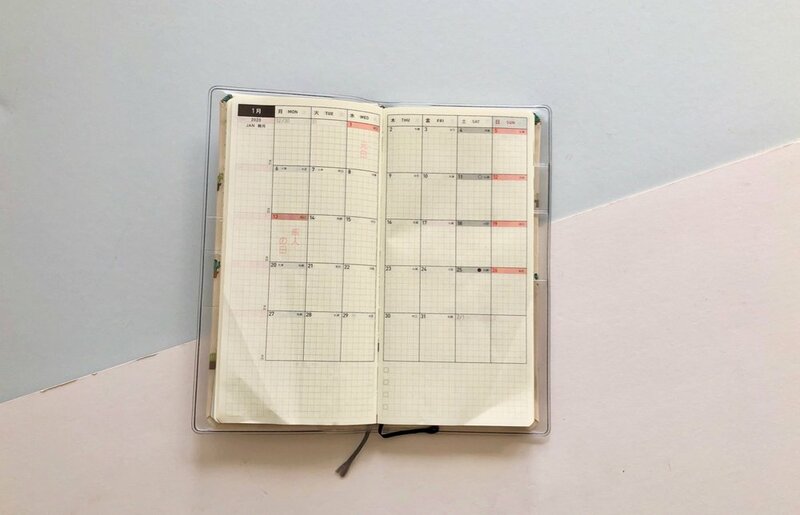 Hobonichi Weeks - the planner. This is my traditional in-my-handbag diary. I was tempted into this purely by the cute hedgehog cover and because I was already ordering the Cousin so why not throw it in my cart. 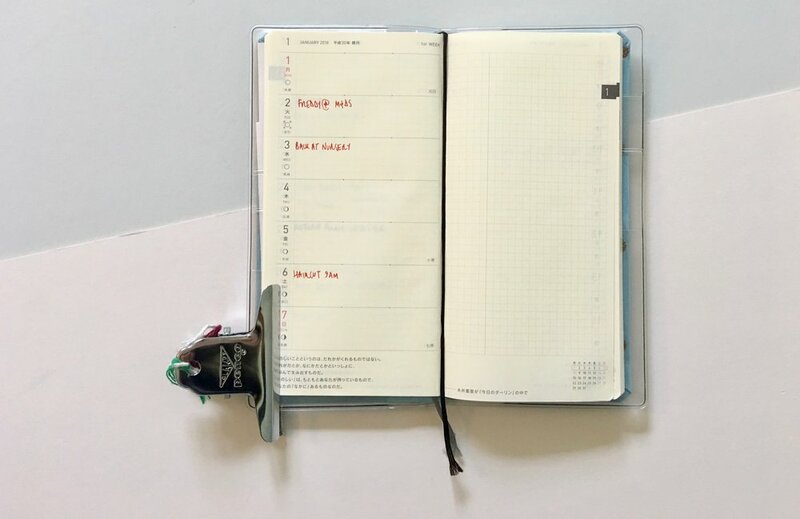 Based on my week shown in the photo I am not confident that I will use this planner for the full year, I haven’t been great so far at keeping up so the odds don’t really look great. 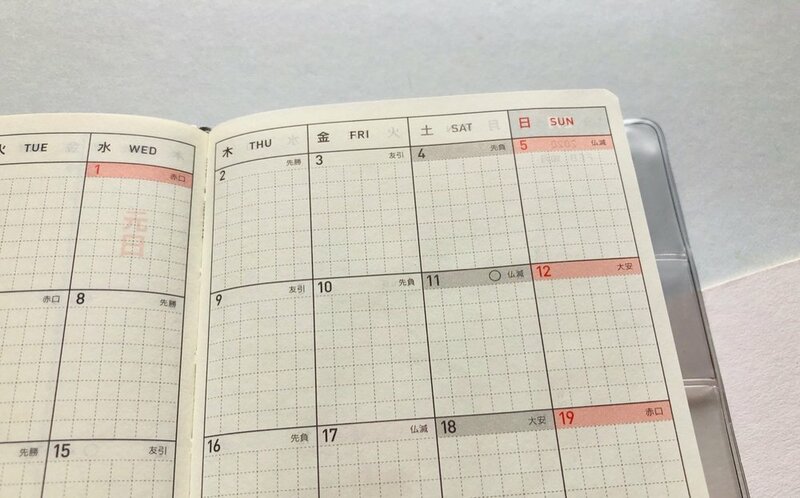 Hobonichi Techo Cousin Avec - the health tracker? 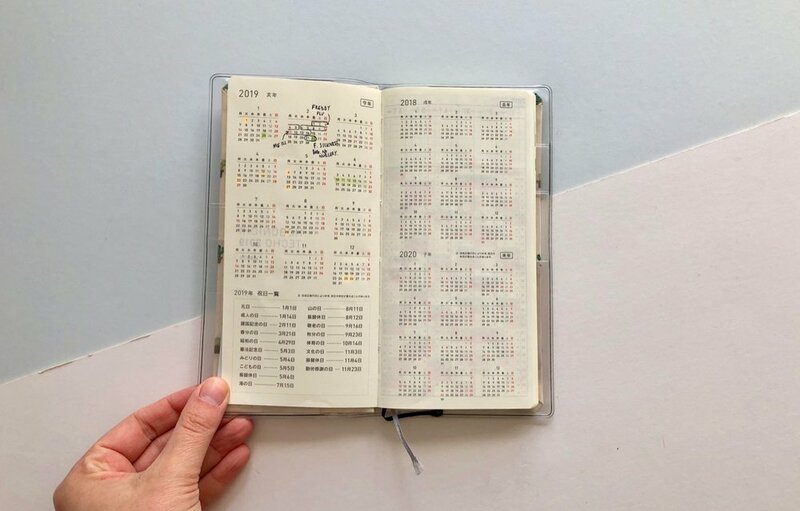 I have used a Hobonichi for a few years trying out my first Cousin last year. I chopped and changed its use and thought I had a firm role for it this year…but things change. I thought about making this a journal where I experiment, draw, journal and this may still be its use. But somewhere out of the blue on 1st Jan I started writing down practical personal information. I’m not sure I can really call this a health journal but its something along those lines. 2018 is going to be the year of Me. That may sound a little selfish but I seem to have lost myself somewhere over the past 2 years being pregnant, a new mum, a wife…all the things lot of people contend with, but I haven’t taken care of myself in the way I should. So maybe this years Hobonichi Techo is about tracking everything to do with me. My ailments, mood, weight etc. It’s a planner I’ll figure out as I use it and find the best way to do things. 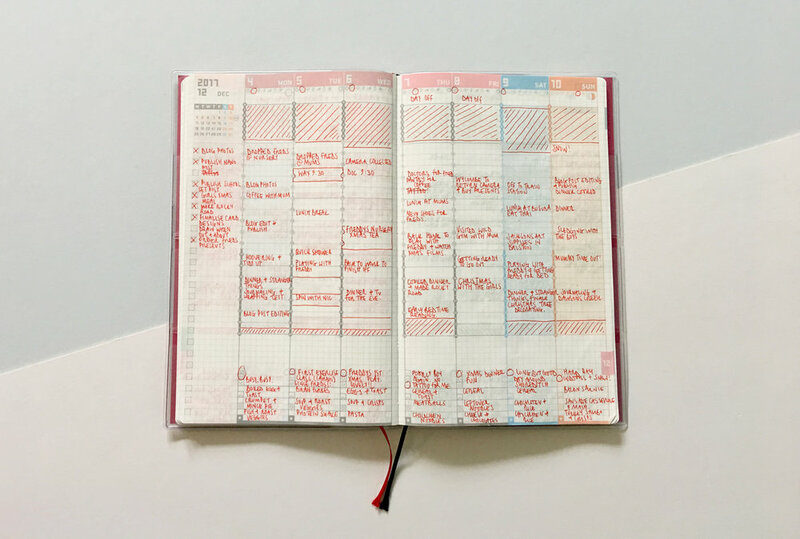 The Bullet Journal - the missing planner. I haven’t properly bullet journaled for some time now because I got lost with the system. I have a work bullet journal that helps me to remember things and stay organised. Since implementing this at work, I’ve become better at my job. 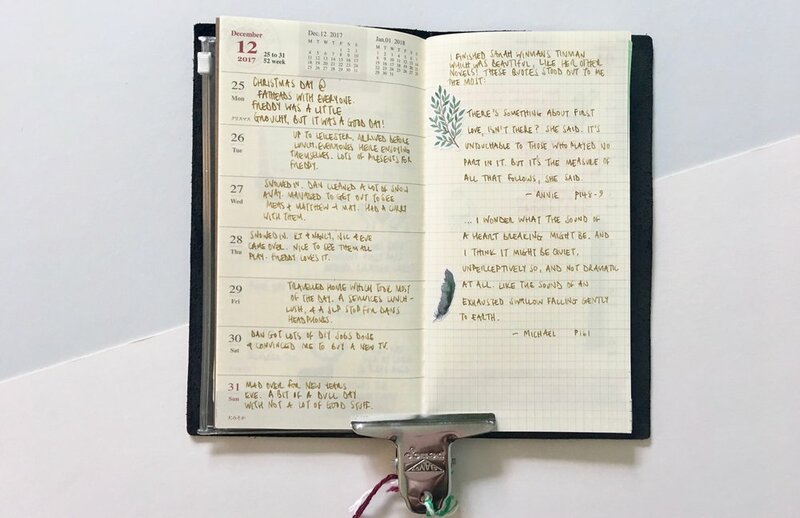 But personally I stopped bullet journaling because the spreads felt like work, and the habit trackers felt annoying. I think I need to revise this and find new ways to bullet journal using a format and a system that works for me. 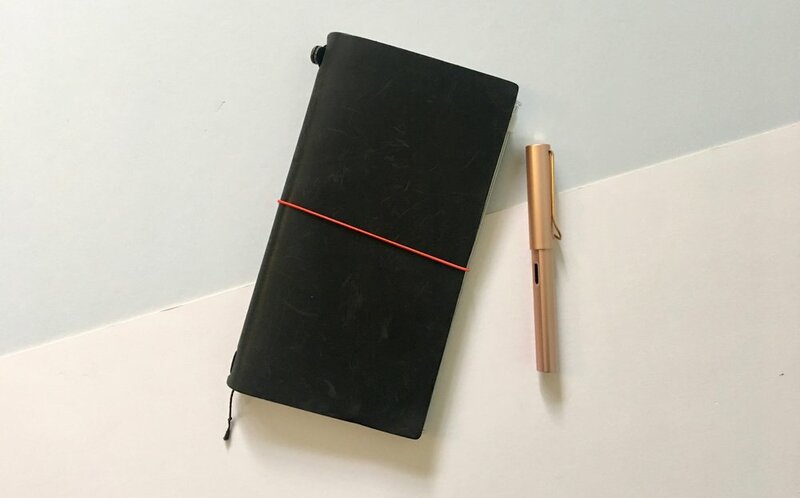 This starts with finding the perfect notebook and I think for me this would be a Baron Fig Confidant, it’ll need some researching on spreads that are useful and generally borrowing (stealing) ideas from other people. Probably. I feel a little exhausted after reading through this post, so you dear reader have probably not even made it this far. It seems like a lot of words and thoughts on planners. I shouldn’t have bought some of these planners, but because I did there is a pressure there to now use them. I need to refine my planner routine and lifestyle. I would love to use 1 or 2 properly but I don’t actually think thats achievable for me. I quite like my little pile of planners. I will review these planners at different points through the year and let you know how I am getting on.